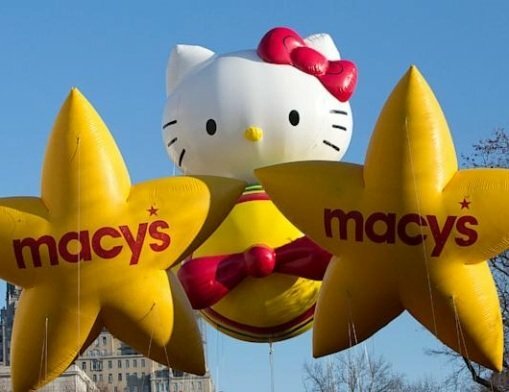 There are a set of skills necessary to best experience the Macy’s Thanksgiving Day Parade in person that are learned from those who have made the trip. The parade kicks off at 9 a.m. at 77th Street and Central Park West. It travels down Central Park West to Columbus Circle, where it turns onto Central Park South. From there, it’s on to Sixth Avenue – there are great spots here between 59th and 38th streets, but avoid 34th to 38th streets, which will be restricted due to national broadcast needs. It all wraps up in Herald Square. 1. The first and most important, arrive early. “Get there as early as possible,” said aCEO of celebrityletters.com Chris Lucas. Chris Lucas grew up in the New York City area, went to the parade several times as a youngster, but has attended every year for the past 15 years. Taking part in the holiday tradition has taught him something about dealing with the late November weather. 2. Short-timers will advise you to bring a thermos of warm drinks to help ward off the chill. That would be a mistake. The first law of sidewalk dynamics states: fluid in, fluid out. “It’s a cold morning, and the temptation is to bring coffee or another warming beverage,” Chris Lucas said. Most of the stores, coffee shops and dining spots near the parade route close for the day anyway. Even if you find one open, it would be difficult to get through the crowd and then back to your spot. 3. Forget watching the parade from in front of Macy’s – you’ll need a bandstand ticket for that, and you’ll probably have to know someone in order to score one of those. 4. If claiming a spot of sidewalk during the pre-dawn hours in potentially chilling temperatures isn’t your vision of the ideal Thanks­giving Day, perhaps booking a hotel room with a great view of the proceedings is more acceptable. Watching the parade from the comfort of your own hotel room is going to cost you. There are a few things to remember before booking: Many hotels have strict occupancy rules, which means you can’t invite a large group to squeeze into your room with you, and some have a minimum-night stay associated with special packages. The best views are generally from the fifth to 15th floors. And while there are only days until the parade steps off, there are options for some last-minute planners. 5. Parking on the street is free, but don’t expect to find an abundance of it. Expect prices at parking garages near the parade route to be more expensive. The Acela from South Station to Penn Station is about a 3.5 hours ride, with tickets ranging from $128 to $211 on November 27, and $145 to $272 returning home Thanksgiving night .